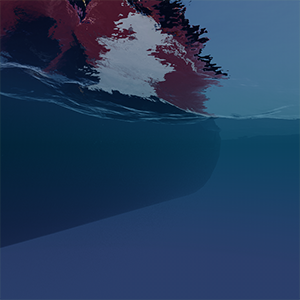 A water_base material simulates water and other liquids. 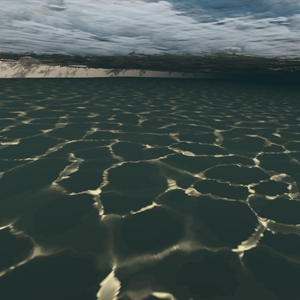 The water_global_base material performs quad tessellation of the water surface. But you should take into account that not the whole water surface is tessellated. In fact, we have two part of the water: inner that is tessellated (always under the camera) and outer that is not. Different parameters allows you to specify the distance of tessellated grid under the camera and the rate of decrementing the tessellation factor. High Precision state enables improved interpolation between the adjacent pixels of the shoreline texture to reduce stepping artifacts. 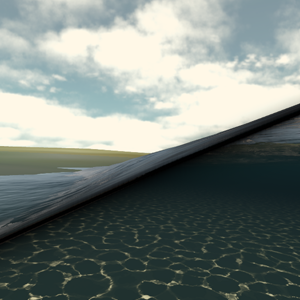 This can be noticed when looking at the waterline separating overwater and underwater. This state should be used only when geometry and/or normal states are enabled. 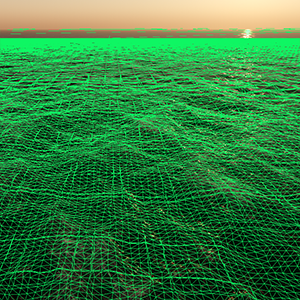 Normal state enables calculation of normals for geometry of shoreline waves. 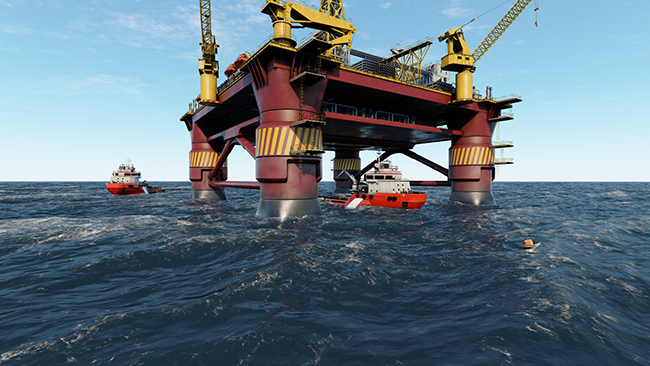 This option significantly reduces performance and can be used in cases, when really large waves are required. 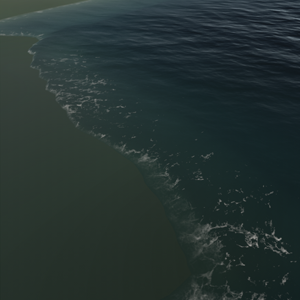 Enabling just the geometry state to simulate distortion of the water surface by a shoreline wave is enough in most cases. 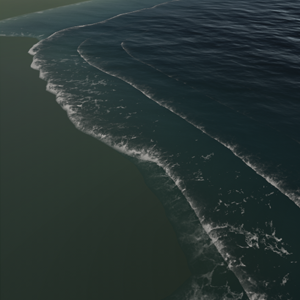 Geometry state enables rendering of wave geometry of shoreline waves. 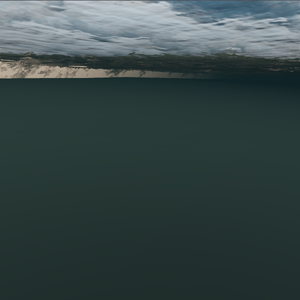 When this option is disabled the surface of the water remains flat. Switching this option off in cases when wave geometry is hardly noticeable (e.g. a flight simulator) gives a performance gain. 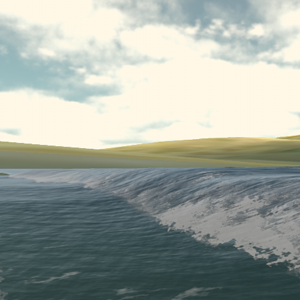 Foam state enables foam rendering for shoreline zones. FieldSpacer interaction state enables the influence of FieldSpacer object on water object. 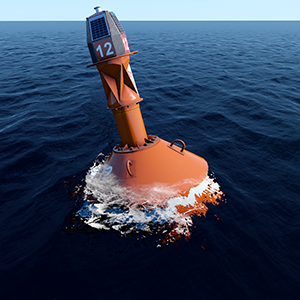 FieldHeight interaction state enables the influence of FieldHeight object on water object. 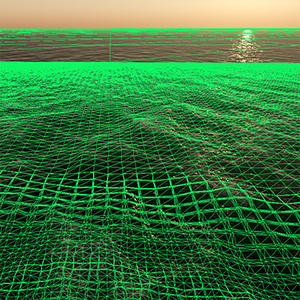 FieldShoreline interaction state enables the influence of FieldShoreline object on water object. Choppy waves state provides more realistic wave with sharp crests. 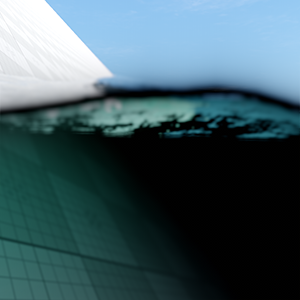 Underwater DOf adds an additional blur effect for underwater and overwater splice to make the waterline looks more plausible. High quality waterline state disabled. High quality waterline state enabled. 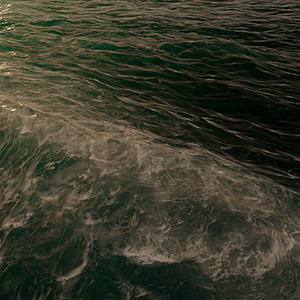 Caustics allows you to render light rays refracted by the water surface. Caustics Distortion removes pixelation and makes caustics look smoother. When smoothing is not required, you can disable this option to gain performance. 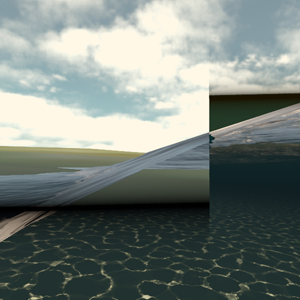 Planar Reflection allows you to use planar reflections on the water surface instead of SSR. 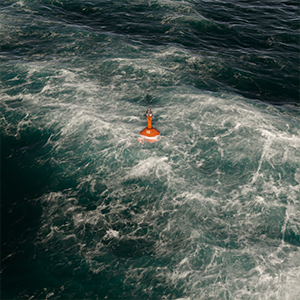 It is better to use it on undisturbed water (0-2 Beaufort). Enabling the option activates Planar Map Size and Planar Refleciton parameters. Map Size Map size parameter specifies the size of the planar reflection map: the higher the value, the better the quality is. Foam texture specifies the foam on the water. It will be written into the diffuse buffer. The engine twice samples the foam texture to create plausibility of the real world foam behavior. 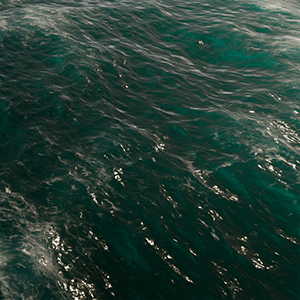 Shoreline LUT is a LUT texture used for shoreline wetness effect. Normal Detail map stores normal information required to achieve an additional (detail) effect of Normal Mapping. 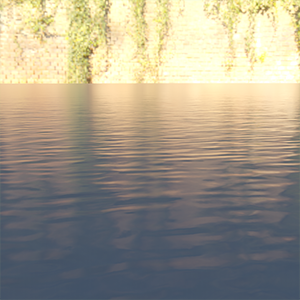 Normal map helps to create ripples (cats-paw effect) on the water surface. 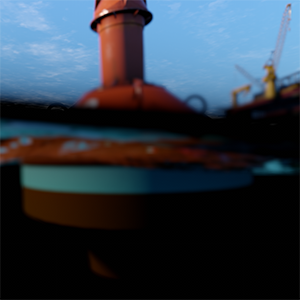 Depth LUT is a LUT texture, which shows the color of the bottom. 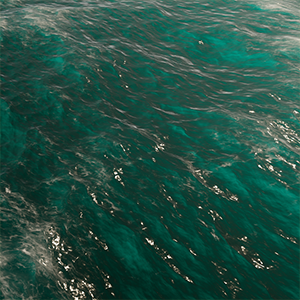 Depending on the depth, the engine chooses the color of the water and multiply it to water generated LUT texture. 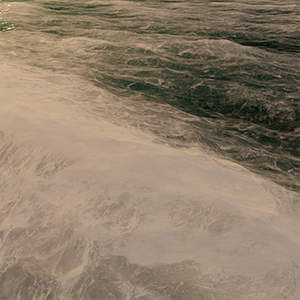 This generated LUT shows how deep the photon goes through the water to till complete scattering. A value is used for creating "transparent" water near the shore. In other words, it defines the fog density. 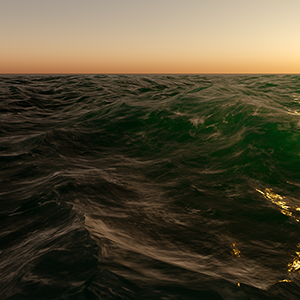 3D Caustics texture determines the pattern of light rays refracted by the water surface. R value defines the caustics pattern. Height texture is used to create a height displacement for waves. 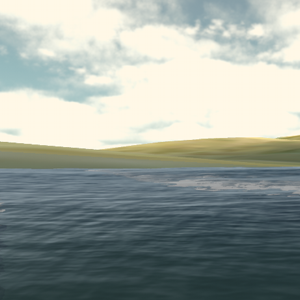 By using height texture, the engine creates waves on the water surface. The engine performs triple access to the texture. R value defines the height of the wave. Tessellation factors determine how much to subdivide each patch. Tessellation Exponent parameter is in charge of rate of tessellation factor changing. It specifies how fast the tessellation will fades from the center point of inner water to outer. The engine doesn't performs the tessellation of whole water surface because it would significantly affect performance. In fact, we have two parts of the water: inner (always under the camera) and outer. 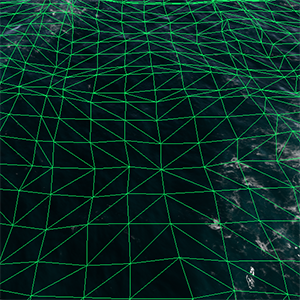 This parameter specifies the size of the inner water grid - the part of the water that will be tessellated. 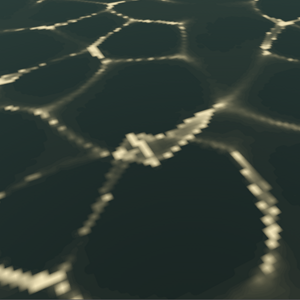 Procedural Normal Blur parameter specifies the ratio of the procedurally generated normals' blurring. 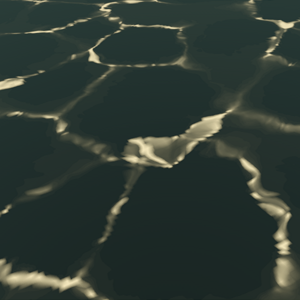 The lower the value, the more blurred (hence, more flatten) the water surface will be. Procedural Normal Weakening parameter specifies the ratio of procedurally generated normal weakening. Choppiness Force parameter specifies the sharpness of the wave crests. 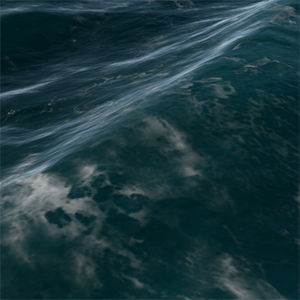 If the Choppy Waves is enabled, the engine takes the vertices near the wave crest and move them closer to the crest and recalculate their normals to make them look more plausible. This parameter specifies the force of that contraction. 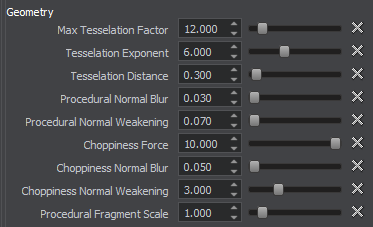 Choppiness Normal Blur parameter specifies how moved vertices' normals will be blurred. Choppiness Normal Weakening parameter sets the weakening of the normals for choppiness. In the formula given above, H1, H2, H3 are samplings from height map, A, B, C are Height Scale parameters. Additional ripples (cats-paw effect) are created by using normal detail map. This parameter specifies the transformation of the first height map sampling. First two parameters mean the scale texture coordinates, along the X and Y axes. Third and forth specify the wind direction. This parameters sets the height scale of the first height map sampling. This parameter specifies the transformation of the second height map sampling. This parameters sets the height scale of the second height map sampling. This parameter specifies the transformation of the third height map sampling. 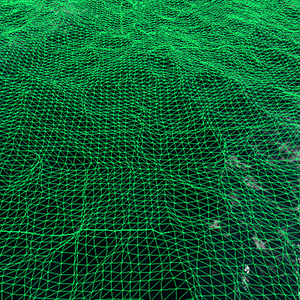 This parameters sets the height scale of the third height map sampling. This parameter specifies the transformation of the first detail map sampling. First two numbers mean the, third and forth specify the wind direction. This parameters sets the intensity of the first detail normal map sampling. This parameters sets the intensity of the second detail normal map sampling. As the engine samples the foam texture twice, this parameter specifies the size of the first foam texture patch. This parameter sets the speed of the first foam patch. 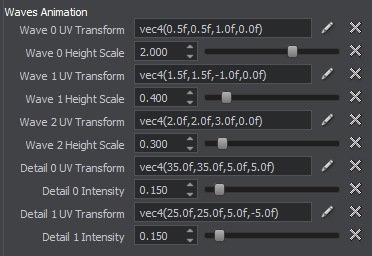 This parameter specifies the size of the second foam texture patch. 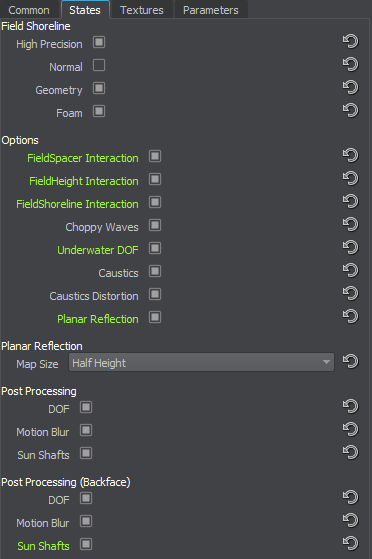 This parameter sets the speed of the second foam texture patch. Wave Intensity parameter specifies the foam intensity on the wave crests. Wave Intensity parameter specifies the foam intensity near shores or different objects in water. This parameter specifies the Subsurface Scattering (SSS) color. Ambient Intensity parameter sets the intensity of the light ray for whole water. 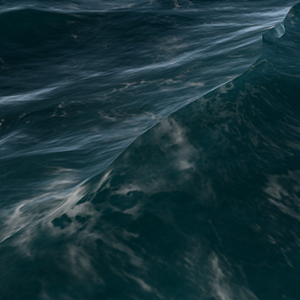 It used to simulate SSS for whole water. The lower the value, the faster the ray will dissipate in water. Intensity Through Waves parameter sets the intensity of the light ray that goes through the waves. The lower the value, the faster the ray will dissipate in water. Intensity Around Foam parameter sets the intensity of the SSS near the foam. Exponent Around Foam parameter specifies the rate of intensity around foam parameter changing. Underwater parameters specifies the underwater part of the water_global_base material. FogColor, FogSunLighting, FogEnvLighting are parameters that you can specify in the material. Other parameters (Sun and Environment lighting) are calculated according to the sun lighting and environment lighting of the scene. In fact, this formula define how sun lighting and environment lighting affect the final underwater color. 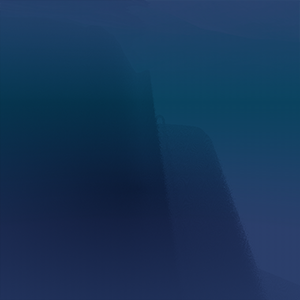 Fog Transparency parameter specifies the transparency of the underwater fog. The higher the value, the more transparent the underwater fog will be. 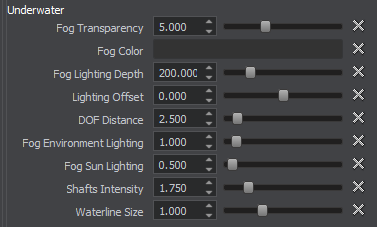 Fog Color parameter defines the fog color. Sun and Environment lightings will affect this parameters to create the final underwater fog color. 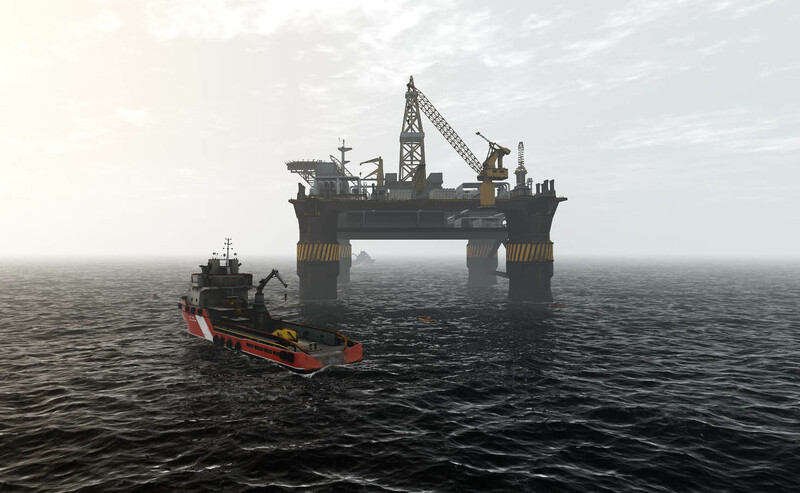 Fog Lighting Depth parameter sets the distance in units, where the light will affect the underwater color. If the camera moves down deeper than the given value there will be no light. 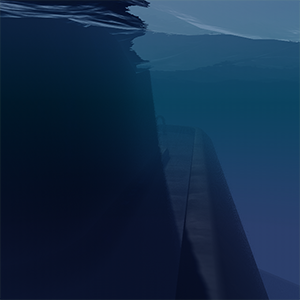 Fog Environment Lighting parameter specifies how the environment lighting will affect the final underwater color. Bottom Color LUT Scale parameter is a multiplier for the Depth LUT. It will "stretch" the LUT texture length. Bottom Color LUT Offset parameter sets the offset of the Depth LUT texture. Waterline Size parameter specifies the thickness of the line that divides overwater and underwater. Reflection Roughness parameter specifies the environment reflection roughness of the water surface. 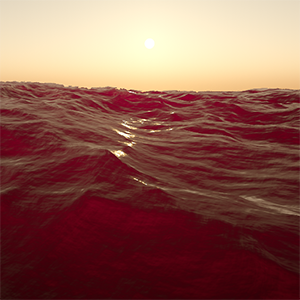 It helps to tweak the water surface appearance related to the environment. 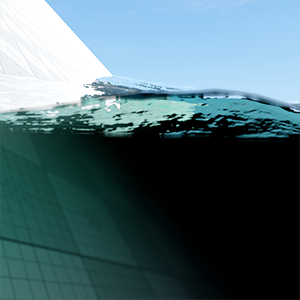 Reflection Occlusion parameter specifies an occlusion factor for environment reflections on the water surfaces with negative normals. 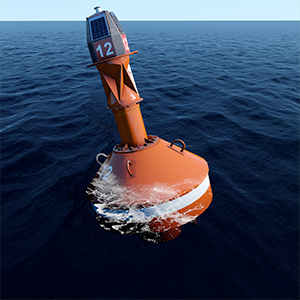 Using this parameter enables simulation of reflection of waves on the water surface removing too bright areas on waves close to the horizon. By the minimum value of 0, no occlusion is performed for reflections of waves, no matter what normals the water surfaces have. 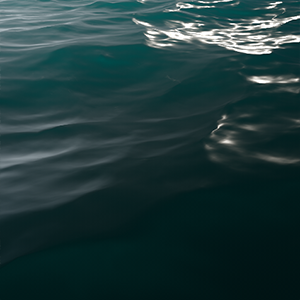 By the higher values, occlusion is performed for reflections on the water surfaces with negative normals that have a certain slope. The higher the value, the less intensive reflections on the surfaces with negative normals. 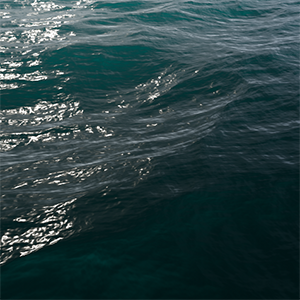 Reflection Occlusion Slope parameter specifies a slope of negative normals of water surfaces, at which occlusion is performed for reflections of waves. Refraction Scale parameter sets the scale of the water refraction. The light moves slower in water and faster in air, that's why we see the refraction of object in the water. 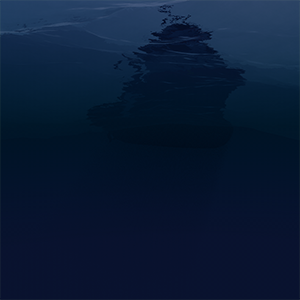 This parameter specifies the scale of the water refraction.